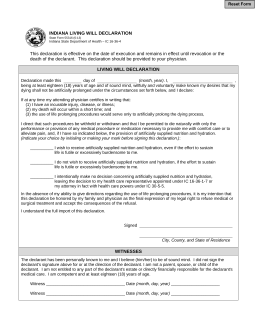 The Indiana Living Will Declaration is a legal document that protects the rights of a Declarant/Principal and their decisions for their health care in the event they are met with an end of life scenario and are unable to express their own decisions when they become incapacitated (in accordance with § 16-36-4-10). 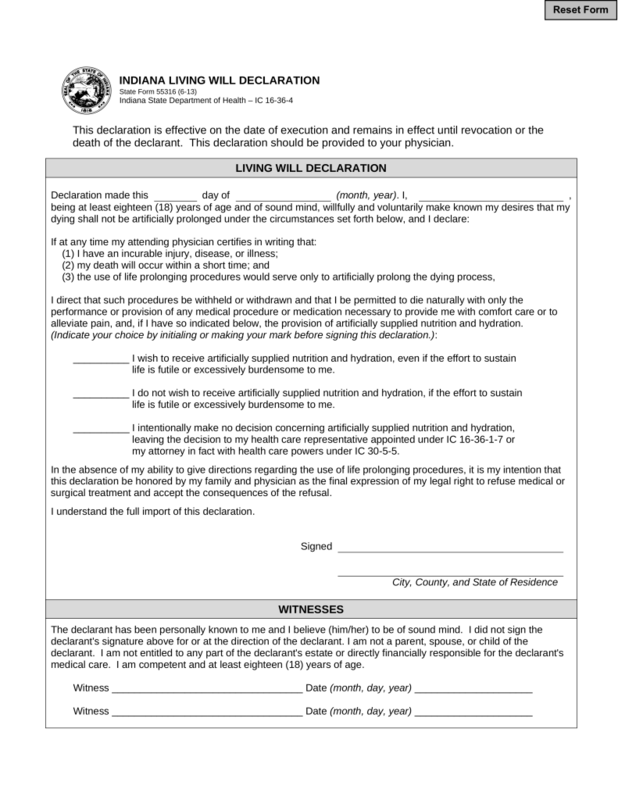 This document will assist in the guidance of what the declarant would like their medical team to do when there are no other options for life-sustaining treatment. This document may be revoked at any time as long as the Declarant/Principal is of sound mind to perform revocation. If at any point the Declarant/Principal does not feel that they understand the document and its contents, that may wish to consult with an attorney prior to completion. Medical Power of Attorney – For the establishment of a health care agent to make decisions on a Principal’s behalf if they are not able to do them on their own.